holiday mini sessions — HANALULU CO.
Hip hip hooray! 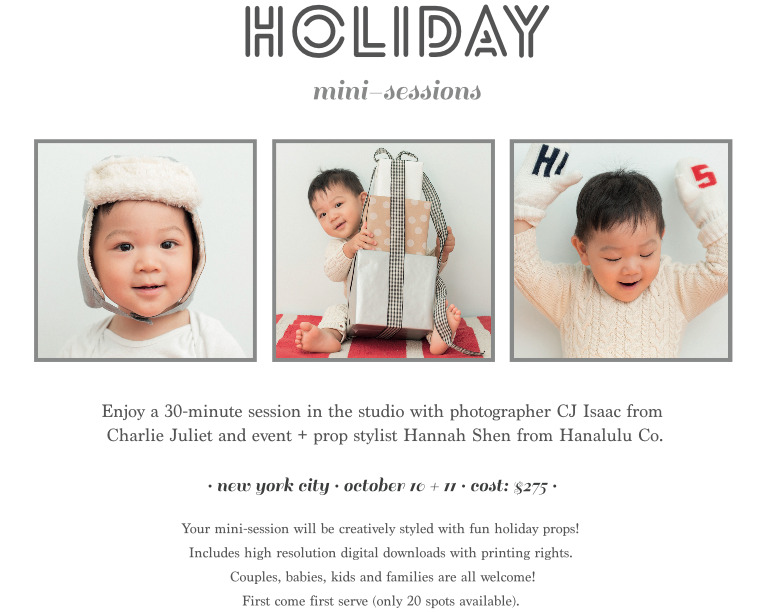 We're partnering with the amazing Charlie Juliet for holiday mini-sessions on Oct. 10 and 11 in the city. We'll style your session with fun holiday props galore -- perfect for holiday cards + gifts, and a fun excuse to get beautifully styled photos!! Looking forward to making awesome happen with you! E-mail hannah@hanaluluco.com for more information and to reserve your spot!